JACKSONVILLE, Fla. - In response to the Parkland school shooting, students across the state of Florida can now report "suspicious activity" to the Attorney General's Office using a free app. 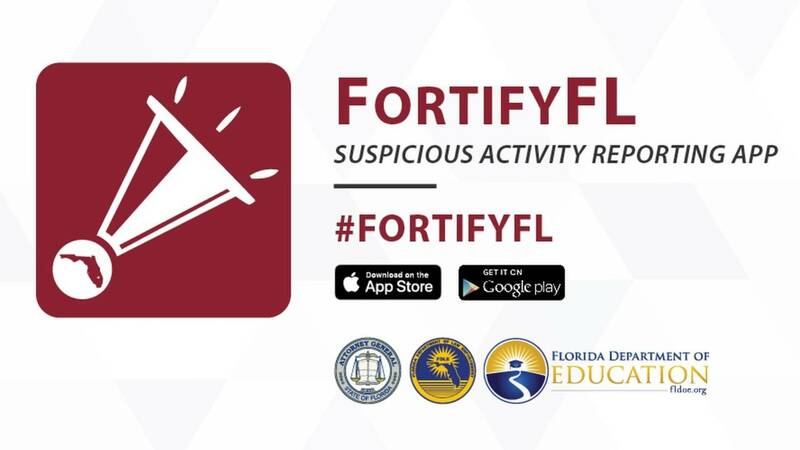 Attorney General Pam Bondi said her office along with officials from the Florida Department of Law Enforcement and Department of Education created the Fortify Florida (FortifyFL) app after learning of a gap in communication between law enforcement agencies and schools. Bondi said the app allows students to quickly send information that could potentially save lives during an emergency like an active shooting. The FortifyFL app is available to download in the Apple App Store and Google Play. Tips can also be submitted online.